Search bar is section with categories, search options and social icons under main menu. To enable search bar navigate to customizer – Search Bar & Social and enable the search bar. You can enable the social icons next to search field. Add URL of your social sites and enable the social icons. 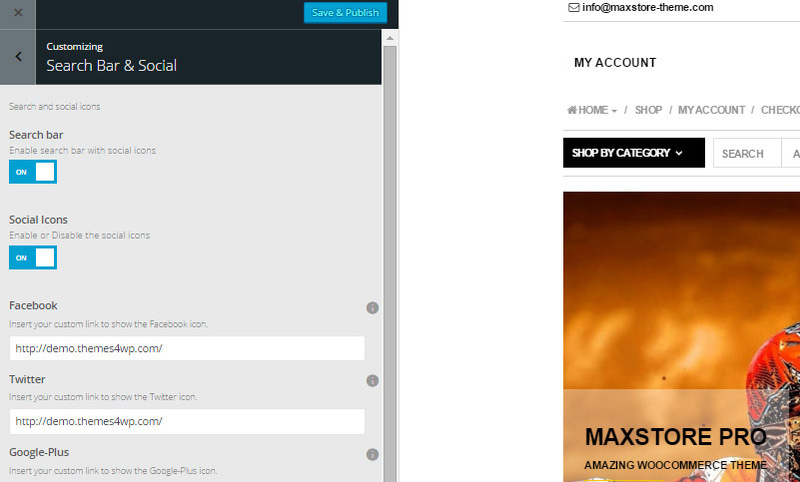 MaxStore Pro contains support for 2 free WooCommerce ajax search plugins. Install one of this plugin and activate it. This will replace theme designed search field with the plugin search field. You can go to plugin page to setup the search options.